The Government of the Bolivarian Republic of Venezuela on Wednesday facilitated the return to the country of 86 Venezuelans from the Argentine Republic, informed the Foreign Minister, Jorge Arreaza. “President Nicolás Maduro has instructed to expand the airlift of the Plan Vuelta a la Patria before the number of applications received in our Embassies and Consulates Only in Revolution!”, Said the diplomat through his Twitter account @jaarreaza. 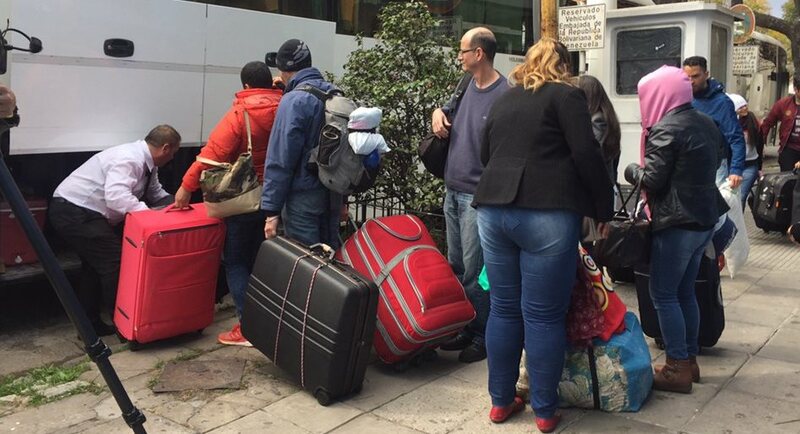 The return of the nationals comes after intense days of registration at the Venezuelan Consulate in Buenos Aires, which will continue to respond to the repatriation requests. The flight departed from the El Palomar airport, on a plane sent by the Venezuelan Government to attend the first session of the Plan Vuelta a la Patria from Argentina. Simultaneously, FM Arreaza made reference to a new group of 128 Venezuelans returning from northern Brazil, whose testimonies have allowed to document allegations of labor exploitation. From its beginnings at the end of August, the Plan Vuelta a la Patria has facilitated the return of more than 2 thousand compatriots from Peru, Brazil and Ecuador.